Tom Lassiter is a career journalist who worked for newspapers in Virginia and North Carolina before embarking on a free-lance career. He began collaborating with Jere Snyder more than 20 years ago, creating video programs for corporate and non-profit clients. He is president of Longleaf Productions. Jere Snyder’s career in film and video has taken him throughout North America and as far afield as Australia. A native of Nebraska, he married a Tar Heel and has called North Carolina home since the late 1960s. 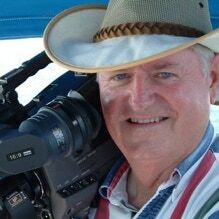 Jere has shot and edited thousands of productions, ranging from television ads to corporate videos to PBS programs. He is vice president of Longleaf Productions. The longleaf pine, which once ranged widely from North Carolina to Texas, is the greatest of the Southern pines. Its dense heartwood provided lumber for cabins and mansions, while its free-flowing resins created a Colonial-era economy based on tar, pitch and turpentine (also known as naval stores).